Were you unable to make it to the Vault Festival this year to hear the ADPP live show? Well worry not! This special episode of the Audio Drama Production Podcast brings the Vault Festival to you! 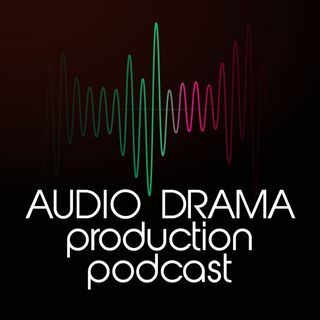 Join The Audio Drama Production Podcast team in an exciting showcase of original audio shorts from around the world – scripts are written by winners of our ADPP Scriptwriting competition. Kick back, sit comfortably and listen to beautifully told diverse stories! Then head over to the Aural Stage ... See More Studios Presents feed at https://www.spreaker.com/show/2914437 to as they begin their summer ADPP Scriptwriting showcase recorded by audio drama creatives from all over the world! Aw yeah! It's a summer full of audio drama magic from the Audio Drama Network!